Deer Valley® was named the #1 resort in North America, Sept 2005 & 2006, by Ski Magazine. In its 26 years of existence, Deer Valley® Resort has become a favorite for skiers and a role model for the international ski community. The amenities guests have become accustomed to - such as free parking lot shuttles, ski valets, gourmet on-mountain cuisine, uncrowded and immaculately groomed ski slopes, thrilling chutes and bowls, a friendly staff, one-stop shopping for , travel arrangements, ski lessons, rentals and child care - are all simply the norm at Deer Valley®. Four mountains, 90 runs, 21 lifts, and 6 bowls cannot even begin to describe the fresh powder, groomed trails and extreme skiing at Deer Valley® Resort. 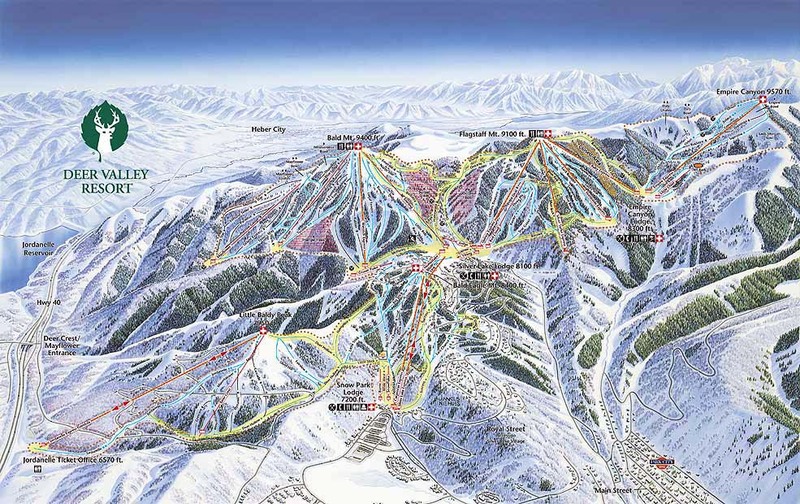 With an abundant amount of terrain for every level of skier, everyone can cruise to their heart's delight on Deer Valley®'s many famed, groomed runs. Family as well as intermediate and advanced terrains are available throughout its many peaks. The charm and solitude of Deer Valley's secluded mountain setting is found just 36 miles from the Salt Lake City International Airport. 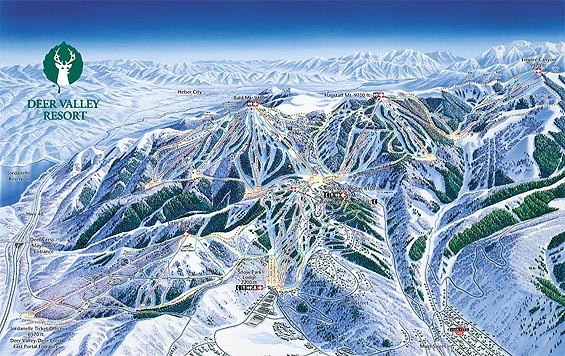 Direct flights from most major US cities enable you to leave home in the morning and ski Deer Valley the same afternoon. Exceptional customer service, consistent quality and attention to every detail are all part of the Deer Valley® experience. It's no wonder Deer Valley® was selected to host the world at the Freestyle events during the 2002 Olympic Winter Games.